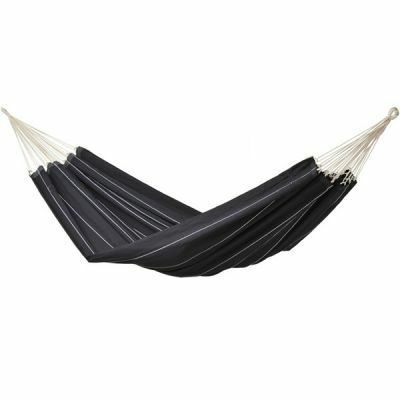 From Brazil, the home of some of the best siestas in the world, comes the place for dreaming: the 'Brasil Black' XL hammock hanging chair. With a width of 1.30 m and a length of 1.60 m, the 'Brasil' serie is king size and therefore almost as big as a classical Brazilian hammock. The quadruple stitched ends and the extra thick 400 g/m² woven material guarantee the highest sturdiness.